Rwandair showing a little heart. “So how much science do you know?” asked Darren while we flew across the African continent. He was asking someone who sourced requested information on syringe drivers via twitter, so he wasn’t surprised when I replied that year eleven chemistry was the last of it. “So nothing?” came his reply. Harsh but fair. What followed was a layman’s explanation of cardiac legions, illustrated on airplane sick bags, which gave a remarkably uncomplicated explanation of some of the cardiac conditions Open Heart International deals with. 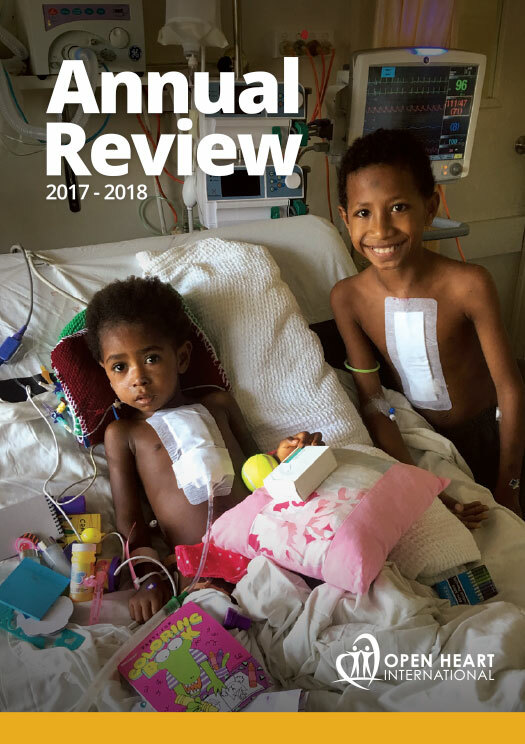 One percent of children are born with congenital heart defects, but not all require surgery. In the developed world these are often diagnosed via ultrasound or at birth, but here they may not until symptoms present. Those that receive a surgical intervention may lead long and healthy lives. 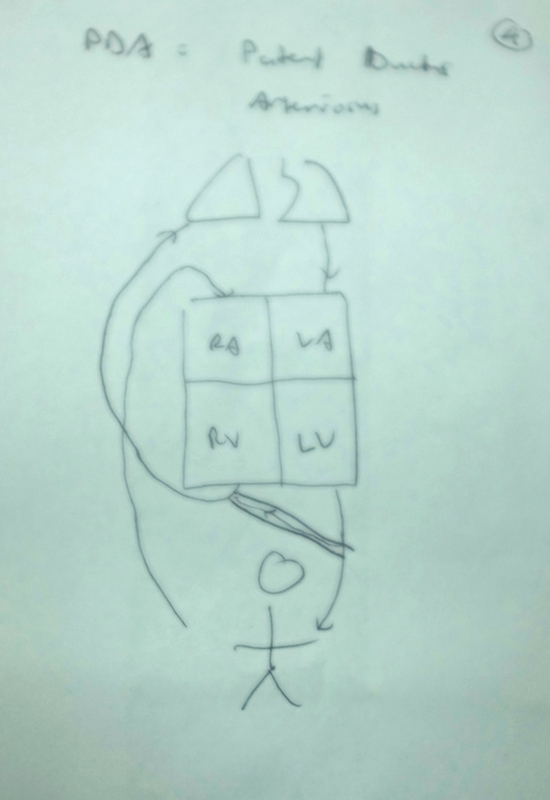 Diagram one shows what a normal heart and cardiac system will do. Blood pumps from the body into the right atrium, flows though to right ventricle (the right side are the stronger of the four chambers in the heart) into the lungs then back through the left atrium and left ventricle before heading back out to the body. 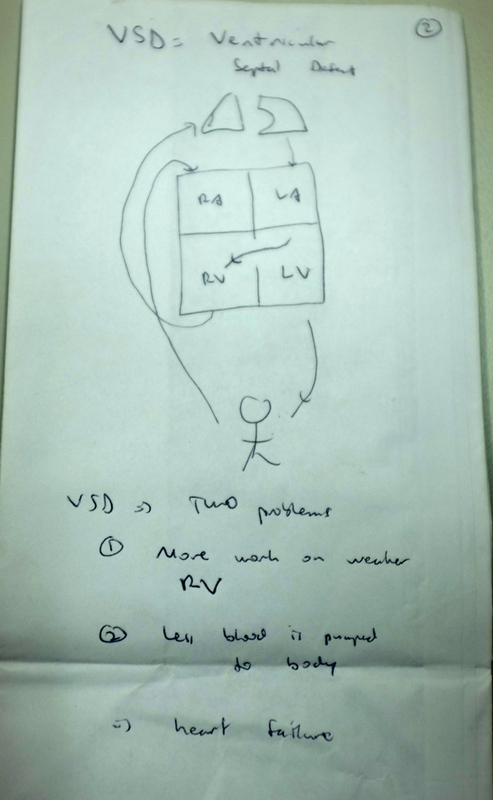 Diagram two outlines a VSD or Ventricular Septal Defect, where there is a hole in between the heart’s ventricles. This is the most common congenital condition and is repairs by either sewing up the hole, or patching it using Dacron. Diagram three shows ASD, or Atrial Septal Defect. ASD is less severe and some patients do not require surgery. This is a hole between the atrium. 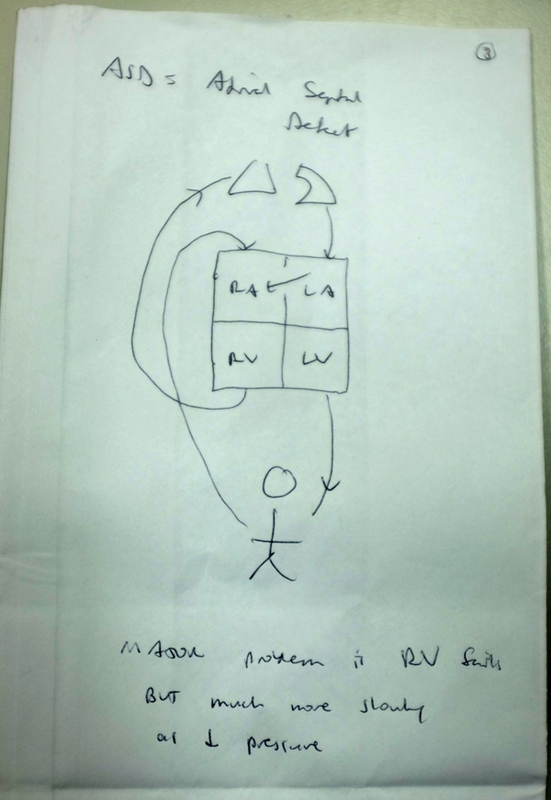 The final diagram is PDA, or Patent Ductus Arteriosus. This is where the ductus arteriosus, which usually closes before birth, fails to do so. Surgery in this case is what is known as closed heart surgery whereas the others are open heart surgery and involve heart-lung machines. For a non-medical professional such as myself, I really appreciated gaining an understanding of some of the work done by the team. I hope you do too.